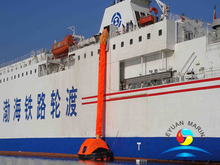 Marine evacuation system is a lifesaving device used in many modern passenger ships ,consisting of an inflatable slide or escape chute which deliver passengers and crew straight into waiting life rafts,a large capacity inflatable liferaft(canopied or open reversible),a lightweight aluminium stowage cradle. 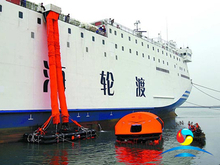 Chute and Dual Chute Systems -commonly used on large cruise ships, they take little space, and provide fast evacuation for large amount of bodies. 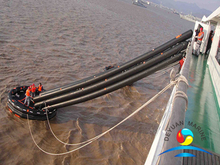 Slide Systems -is an inflatable slide that attaches to the access point of the evacuation.